A political statement about the world of 2017. 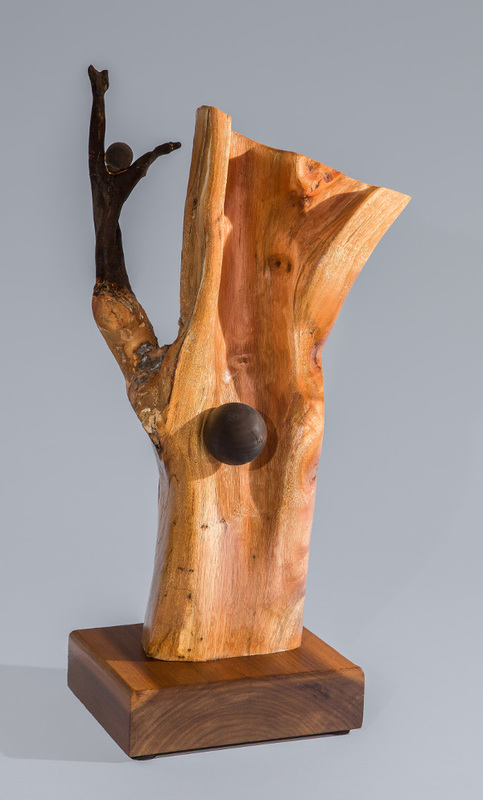 This piece of Avocado wood had limited carving to created the final shape. The world, a small burnt piece of Birch, is traveling up a natural made channel in the wood. The figure was a limb of the trunk, also burned, hands up, is attempting to escape the chaos.